Arash is a slave drummer accompanying the Megistanes and other scholars on their journey to find the new king, whose star they have seen in the heavens. 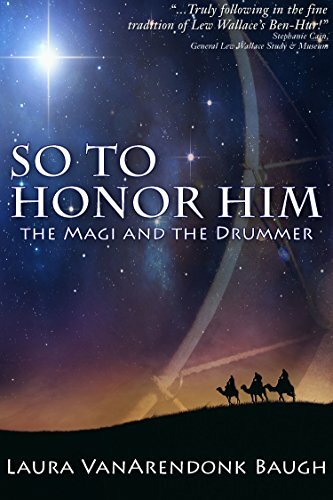 He does not understand their enthusiasm for this Jewish child, prophesied centuries before by one of their own, but each night he plays his drum for his master and dreams of earning his freedom.When they reach Jerusalem, Arash is made an offer by King Herod himself: once they locate the child, return and tell him of this infant king of the Jews. For this small favor, Herod promises Arash’s freedom.But Herod does not seek the child to honor him, and Arash is trapped in a plot to murder an infant.Characters from Rome, Babylon, the Decapolis, and the Han Dynasty experience the events surrounding the Nativity in this meticulously researched and historically plausible retelling of the Little Drummer Boy carol.